The director of the research, UAB professor Miquel Molist, qualifies the area as an archaeological site of exceptional potential, given that there is no other similar site with so many occupancies in the area. Researchers from the Universitat Autònoma de Barcelona have revealed the latest archaeological discoveries on the origins and consolidation of the first farming societies in Upper Mesopotamia, in Iraqi Kurdistan. 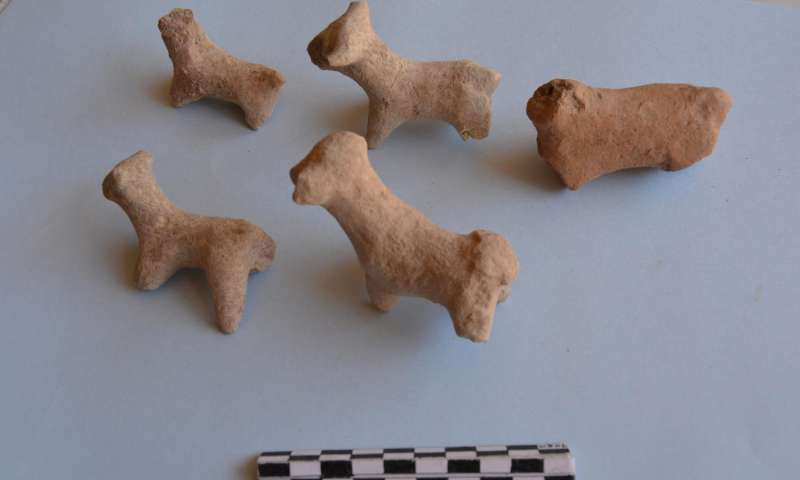 The research is the result of a project conducted by an interdisciplinary team under the leadership of professors Anna Gómez Bach and Miquel Molist, from the UAB Department of Prehistory. The area had been closed off since the 1990s to archaeological research and the UAB is the only research team from Spain participating in the dig. After many years working in Syria and Turkey, where all work was halted due to the military instability of the area, the research team coordinated by professor Miquel Molist continues to study the origins and consolidation of the first farming societies, in this case in the most eastern part of Upper Mesopotamia. Iraqi Kurdistan is one of the most interesting regions of the Middle East, given that since the 1990s and until three years ago no archaeological research could be conducted there, making it a new geographic and historical site in which to conduct archaeological studies. Currently there are several European and American teams focusing on research in the area, such as the UAB team, thanks to a collaboration agreement between the UAB and the Salahaddin University-Erbil. The first campaign was conducted in autumn 2015 and the second took place in May and in the first week of June 2016. The Gird Lashkir site is an archaeological tell with exceptional potential, with some 14 metres of sediments and a surface of approximately 4 hectares occupied by ancient populations. It is located close to the temporary river of Wadi Kasnazan and the cities of Kasnazan and Banaslawa, pertaining to the current capital of Kurdistan, Erbil (northern Iraq). The archaeological dig has revealed a series of occupancies which go from the Neolithic period to the first millennium BCE. Over 150 m2 have been uncovered, which distributed along the slopes of the tell, have allowed researchers to discover well conserved architectural remains of specialised buildings, personal houses and working areas located in exterior areas. Researchers were able to differentiate between the more recent occupancies, located in the higher part of the tell and dating from the historic Neo-Assyrian period (until the end of the second millennium BCE). Several objects discovered from this era stand out and could indicate that one of the buildings was used as a warehouse, and could be linked to the exchange of goods. Another very extensive and important occupancy, probably from the Early and Middle Bronze Age (more specifically from Ninevite V, 2600-2550 BC) was confirmed, with habitat vestiges in several areas of the tell and the discovery of very important objects. The most ancient period, discovered on site this latest campaign, is an occupancy from the Uruk period (ca. 4000 to 3100 BCE), in one of the deepest digs conducted at some 4 metres below current ground level. Remains were also recovered from the Neolithic’s Ubaid and Halaf periods (6000 to 4500 BCE). The evaluation of the discoveries made at this site is very positive. First from a scientific viewpoint, given that there are no sites with an occupancy similar to the one in the area of Erbil and because it allows to discover the evolution of the settlement in the western plain of northern Kurdistan. The good conservation of the remains and the importance of the objects found confirm the potential of the settlement as a historical source of the first cities of Mesopotamia. 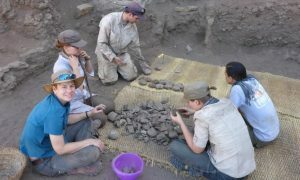 The UAB research team is the only one from Spain participating in the new archaeological research activities in Iraqi Kurdistan, and has established cooperation and heritage development relationships with local institutions (specifically with the Erbil Museum and the Directorate General of Antiquities). After the dig campaign, researchers are beginning to work in the laboratory to conduct an in-depth study of all the material elements discovered and carry out archaeometric analyses with radiocarbon dating, as well as determine the raw materials of the objects. Work at the site will continue in 2017 with the final restoration of the most significant objects which will be exposed at the Archaeological Museum of Erbil. The Gird Lashkir project, initiated in 2015 by the team at the Prehistoric Middle Eastern Archaeology Seminar (Department of Prehistory of the Universitat Autònoma de Barcelona) with the collaboration of the Directorate General of Antiquities of Kurdistan and the Salahaddin University-Erbil, was also financed by the Directorate General for Fine Arts and Cultural Goods, and for Archives and Libraries of the Spanish Ministry for Education, Culture and Sports.